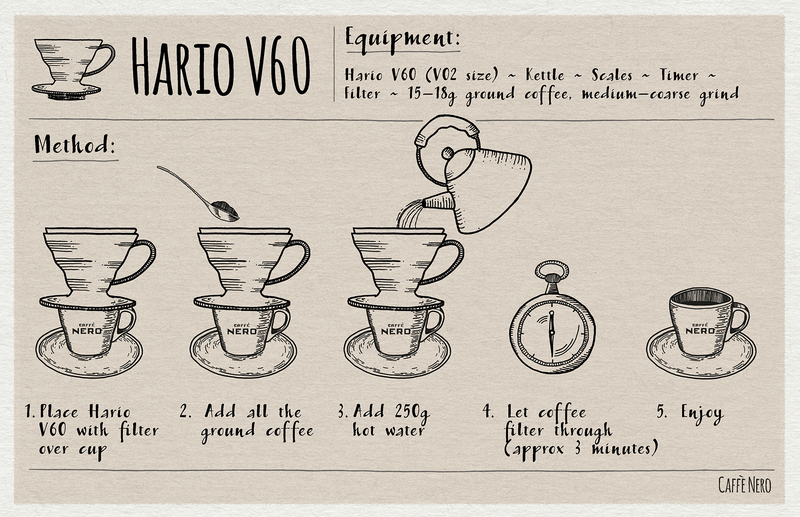 While the Hario V60 may look completely different to the Chemex, it shares the same drip-brewing principle. Its conical shape is deceptively simple, with the sides angled precisely to give the coffee and water the perfect amount of contact time, and the inside ridges allowing the grounds to breathe. So, although small and modest looking, the V60 is an invaluable brewer for anybody wanting to make superb filter coffee in a few steps.